In August 2017 and again in October 2017, residents living in the Condos on the Esplanade asked that Council look at traffic and parking issues on the Esplanade in summer but they remained on the unfinished business list for well over a year. At their first meeting in 2019, Council reviewed the list and called for reports on each of them. Further, Councillor Emily Chorley successfully made a motion that called for the reports to be made in no more than three months. No doubt because of that, Director of Public Works, Laurie Wills, will present the first report at the next Committee of the Whole meeting on April 1st. Two items are addressed: 1) a concern about traffic congestion in the Division Street and Esplanade area and 2) a concern about traffic and pedestrian volumes in the Division/ Esplanade/ Albert Street area. The main area of concern is around the corner of Division and the Esplanade as shown in the photo above right. The reason given for not responding more quickly was that staff should wait to see what the now completed Waterfront Study had to say about this area since it is definitely at the waterfront. A new pedestrian crossing would not give pedestrians any additional right-of-way – for that, they would need to be at a controlled intersection and these are already available on Albert (at Third and at Division). New crossings are not required if there is one available within 200 metres and according to Laurie’s report, this would mean a controlled mid-block pedestrian crossing on Albert Street is not required. It’s not clear why she referred to Albert Street when the concern was the Esplanade. Speed was measured on Division and it was found that “99.86% of vehicles are driving below the speed limit” of 50 km/hr. On the Esplanade, there was no suitable pole to mount the speed tracker on so the report says “however, it may be safe to assume that if vehicles are traveling below the speed limit on Division Street they are likely to be travelling at the same speed or less across the Esplanade where the posted speed is 20 Km/hr”. Residents objected to the idea of a traffic circle at the bottom of Division Street because of the tiny space available but Laurie’s report said “Staff will review this option and its potential traffic/parking impact in greater detail when the recommended implementation date approaches.” (See full report below for more on this). However, Laurie did agree that people using the parking lot on the Esplanade at Division would have a problem with congestion in busy periods. As illustrated in Figure 3 (see image), open up an exit only onto Division Street and allow a one way entrance into the parking lot off of the Esplanade. Implement a one way only arrangement on the Esplanade from east to west on a 3 month trial basis beginning May 1, 2019. Open up an exit only onto Third Street from the parking lot at Third Street/ Esplanade. This will remove one on street parking space and involve relocating a tree. Staff recommends implementing this a minimum of one year after Recommendation #1 so that any operational improvements have been sufficiently realized before investing in Recommendation #3. Staff will report back to Council before implementing Recommendation #3. It’s not clear where the idea of making the Esplanade one-way came from nor how it helps anything. I suspect users of the parking lot at the West end of the Esplanade would object. Did anyone ask any users or residents? Traffic at Esplanade and Division – 28 August 2017 – about 1) traffic on the Esplanade and danger to pedestrians there; 2) traffic on Division Street and 3) objections to the proposed traffic circle. After the above was published, a response was added to the Council Agenda. Although moving the existing parking space 2m north is a good move, with commercial activity increasing on Division Street, parking spaces in front of what was previously Marca’s should be removed or at least converted to “stopping or drop-off status”. Traffic speeds were not measured on the Esplanade and in fact although many drive slowly, others are driven well over the 20km/hr speed limit. The esplanade is also used by a number of trucks. A pedestrian crossing over the Esplanade would be good for people travelling through Rotary Park to the beach. The trial of one way traffic is welcomed. The parking lots on the Esplanade are a mistake and no more should be added. Also, no more green space should be paved over such as seems likely if a traffic circle were added at the bottom of Division. The improvements in entry and exit to the existing lots are a good idea. An alternative solution to the anticipated increased demand in summer seasonal parking, which does not negatively impact our Waterfront, must be explored. While the focus has been on residents of the Condos at the east end of the Esplanade, others at the west end have now also expressed an opinion. They are more supportive of the recommendations of Staff. In a letter to Council (download here), they said that their board of directors met and…. We decided by majority vote to support the recommendations #1 and #2 listed in the report, namely 1.) to open up a one-way exit from the parking lot onto Division Street at the Esplanade and allow a one-way only entrance to that lot from the Esplanade. 2.) on a three-month trial basis, to implement a one-way traffic arrangement on the Esplanade going east to west between Division and Third Streets. We also agree with the report’s analysis that a controlled pedestrian crossing at Second Street and Albert is not required, and that speed-bumps on the Esplanade are not necessary. We remain skeptical about the proposal for a future traffic circle at this location and would not support the removal of additional grass from the Esplanade median to allow additional parking. One thing that is apparent (and good) is that although Works department staff seemed to not consult residents, Town Clerk Brent Larmer is letting people know about issues that might concern them before they are considered by Council. After a short discussion at the Committee of the Whole, Council approved staff recommendations with two changes: 1) That the trial period for the one way traffic be 4 months – May to August and 2) that Staff report results of the trial to Council on October 15. At the regular Council meeting on April 8, Council passed a motion implementing the COW decision. Interesting that it was Councillor Chorley who moved a speedy report on the Condo owners issues. Cobourg has a serious problem with rental and low income accomodation. Why do the minor concerns of traffic on the Esplanade get on the front burner? The speeding report is a major concern at both the east and the west ends of the Esplanade. one would think localized speeding is an enforcement issue for the police, but, if it’s a systemic problem, then Council would need to address it municipality-wide, not one instance at a time, as in this case. Even if just because of the ‘optics’, which bugs the hell out of me whenever ‘optics’ is referenced, this part of the general waterfront discussion leads to the perception, at least, of preferential concerns on the part of policy makers. start with a ‘blank’ page… no need for public vehicular traffic on the east pier, make it a pedestrian zone, period. The esplanade gets renamed to an applicable ‘street’ name and is treated like any other 2-way residential street, just like University, Elgin, William, King, etc., etc., (where’s the justification in making it a “private thoroughfare”, treat the 2 little parking lots as ‘public’ 24/7. This area should be treated like any other public space as opposed to a semi-private enclave, regardless of the “sell-sheet”. No fancy measures required. What other areas in town get or, more to the point, expect such ‘tailored treatment’? Perhaps you should consider moving to a much more suitable neighbourhood. The 150+ families on the waiting list for affordable housing feel his pain. The County Wait List for subsidised housing has over 700 families on it. Again there has not been a proper cost of Living increase to CPP or OAS or ODSP for decades . Not all owners of exclusive, luxury waterfront condos dislike the traffic, noise, garbage, etc that tourists bring to their turf. And the guests like to look at BOATS! All this could be yours to experience too for only $295.00 per night. is there a stipulation in the condo rules that precludes any units from being short-term (aka vacation rentals) properties? Seems that concept is perfect for these places, given the “issues” we keep hearing about from some of the current residents? If so indeed, it might be time for the condo board to revisit their original desires and expectations. After all, everything, including a “luxury property”, comes at a price greater than originally expected. Yes with civil change most was not contemplated until the Air B & B stuff started and the legal council at the time these / most condos were formed did not contemplate it . But if it become a municille st will that mean that we get garbage pick up and taxed at the same rate as other home s in cobourg of equal value ??? well, “value” is very subjective and MPAC has it’s own ideas on that. They actually ADD a 10% surcharge on properties along Lakeshore Dr that are not lakefront BUT have the BENEFIT of SOME or partial VIEW of (not access to) the water!!! So you can see what that might do to their valuation of those harbour-view properties. I wouldn’t be expecting much change in that regard. As for garbage pickup, that’s a bit of a dog’s breakfast too, considering the criteria used by the county I’m guessing, (ie apartments, etc.). As for grass, that’s likely to be there, no matter, and parks and the like are the town’s responsibility to maintain, so living near any sort of parkland probably comes with similar concerns. Is it fair to assume that the street there gets ploughed and swept like any other street? I’m going to go out on a limb here and I don’t want to be unsympathetic but I don’t imagine there’s too much sympathy, regards these issues, coming from the other taxpayers of the town. 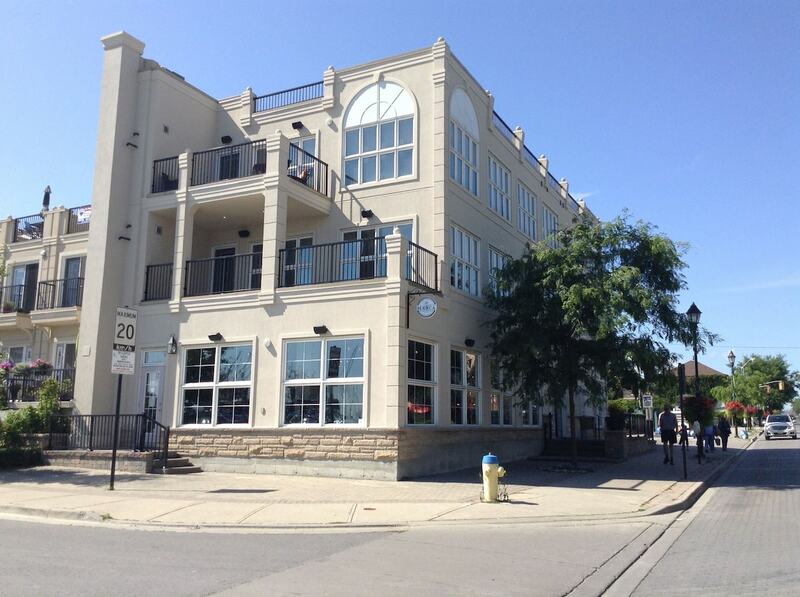 Why don;t the condo boards forbid B&B in their units? The Boards of Directors do forbid. OK, so why is it happening? If it’s like a lot of other places, enforcement can be difficult and time consuming. Many hosts have been known to ask their guests not mention they are with Airbnb if asked and claim they are just friends or family. The condo managers don’t appear to care enough to do anything about it and the condo owners don’t appear to care enough to help the managers. So neighbours don’t know neighbours within those condos to be able to inform management of suspicions. The young woman who threw chairs from the balcony of a condo in Toronto a few months back was an air b&b. The girl throwing a chair is relevant how? I’ve stayed at an Air BnB, so does that make me a criminal? I’ve stayed at an Air BnB also. I didn’t commit any criminal acts on someone else’s property. No deceit was involved by the property owner. The concierge knew who and when. So the social equation of staying at an Air BnB is a criminal act in and of itself, naaaa, what a ludicrous suggestion! Pedestrians and drivers look both ways before crossing or exiting from a stop sign. In the meantime, let’s keep promoting our waterfront without mentioning the parking issues (and perhaps the lack of available toilets)!!! Don’t forget all the free parking east of Church/College Streets…a veritable gold mine of potential income for the town!! Who cares about the fact that those of us who live down here (the elites?) do pay for that privilege! In the US, studies have shown that roundabouts are safer than traditional stop sign or signal-controlled intersections. Roundabouts compared to what? and located where? a. Use the existing parking lot as the ‘pseudo-traffic circle’, one way in and new one way out as shown by red arrows. Ultimately, may need to treat area south of Albert St. as a parking lot during busy times. No parking spaces left? Not an area resident with private parking? No vehicular access when full. b. At location of photo label ‘one way entrance to parking lot’, install seasonal concrete planters (see front of Victoria Hall for sample) or a functional gate (better option to allow for EMS access) across the main road (esplanade). Install planters in a row down to the waterside railing. Similar feature also at west end of road. Mid portion of the waterfront roadway would be closed to cars during busy summer weekends/events and possibly other times to be determined. Bicycles (on road/path) and pedestrians would be able to travel freely. In addition, sunrise and sunset should include vehicular access to prime viewing points. People should also remember that since the pier is closed to car traffic the amount of vehicles in the area has decreased!! More complaints from Cobourg’s elite! First it was complaints about the Town staging popular entertainment and competing with the upscale art ‘films’ at the Loft. Now we have the upper snack bracket Esplanade condo owners whining about the loss of ‘serenity’ in a high traffic waterfront location. Should have thought about that before buying that dream condo. This name calling needs to stop. AIRBNB visitor report from a family that stayed on that 40′ boat. AIRBNB lists accommodations in 296 homes in Cobourg and area. not personal use dock space ??? Most people don’t have an issue with the original concept of Airbnb…shared space, extra bedroom, maybe letting your place for a couple of weeks while you travel. The problem is that now whole home/ apartment Airbnb style accommodations have become prevalent and causing all kinds of problems inlcluding exacerbating the lack of housing situations. One need only look to places throughout the world like New York, San Fran, Vancouver , Toronto, Berlin, Barcelona etc. And even smaller townships throughout North America who have attempted regulations and those who are struggling to find fair and enforceable rules. A quick google of “Airbnb problemsl”. immediately indicates the scale of the problem. This is stereotyping people who make mortgage and rental payments like everyone else and, contrary to the myth, they also pay property taxes. from start to finish thus disrupting everyone’s lives down here . who should know what they are talking about as they live it 24 x 7 — 365 Tell me again why the Town SOLD out the parking lot by the Post office and Victoria Park is that not only adding to and creating the future problem May be it should only be a 1 way loop south of Albert / Queen on Division across the Esplanade to Third that will inevitably bring traffic / people back around to King st for that all valuable and Elusive Tourist shopper $$$ Whats wrong with using some of the north 1/2 of victoria Park for parking its seldom used . with easy access and egress from all directions . Sandpiper, it’s been posted on this Blog many times in the past that the parking spaces in the lot by the Post Office are to be built-in to the new development and remain accessible to the public, in addition to the private parking spaces. – the fact that the parking lot by the Post office just may be out of circulation for 3 yrs while under construction & , will not be able to handle the same type of vehicles ie trucks , small camper vans and the nearest vacant land is — north 1/2 of Victoria Pk. North half of Victoria Park? Way back, there were a few, very few, fools who advocated the tearing down of Victoria Hall for, wait for it; a parking lot. Thank goodness, no one listened to them. there has been a right of way along the harbour MANY years before the condoes. just like some city slicker moves to the country, builds a house next to a pig farmer that has been in business for decades & wants him shut down! Read the rules for this blog: don’t slander other posters. how is it possible to slander a truth? i guess the truth hurts? they came here to get away & enjoy the serenity of the water front This should be all about how to reduce traffic if we are talking safety . And if we are not talking safety but a NIMBY situation how can you defend that? A lot of us live in noisy places in Town plagued by speeding traffic. A spokespersona crows for Cobourg’s Condo Cove crowd.